Is Cain Able? Listening to Herman Cain makes many people not already familiar with him to conclude that Cain is Able to defeat Obama. Despite being age 65, Cain seems poised to capture the imagination and support of the under-40 voters who helped elect Obama but who are becomeing increasingly dissatisfied with Obama's statist, government-knows-best philosophy. 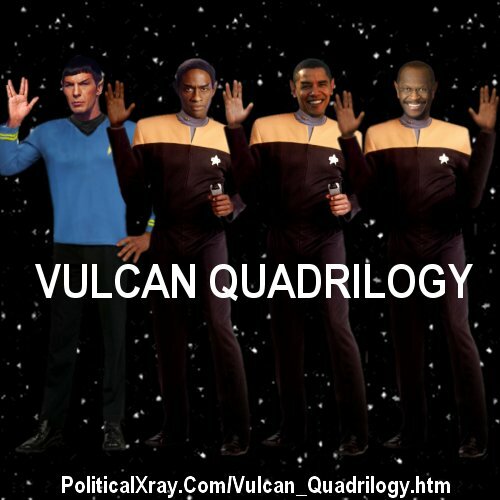 ����������� Today, Herman Cain, the former Godfather of Godfather's Pizza, formally announces his campaign for President in 2012 .� In so doing, he completes the Vulcan Quadrilogy with the goal of restoring restoring an updated version of "Live Long & Prosper." ����������� Cain, unlike Obama, has run a business, met payroll and endured the frustration experienced by entrepreneurs seeking establish and expand businesses in a free market comprising the most efficient way for raising everyone's living standards.� It's a principle recognized by John F. Kennedy in advocating reducing taxes to enable private economic activity to increase and thereby improve everyone's condition.� JFK popularized this concept with the statement that "a rising tide lifts all boats. "� This is the essence of Cain's free-market philosophy.